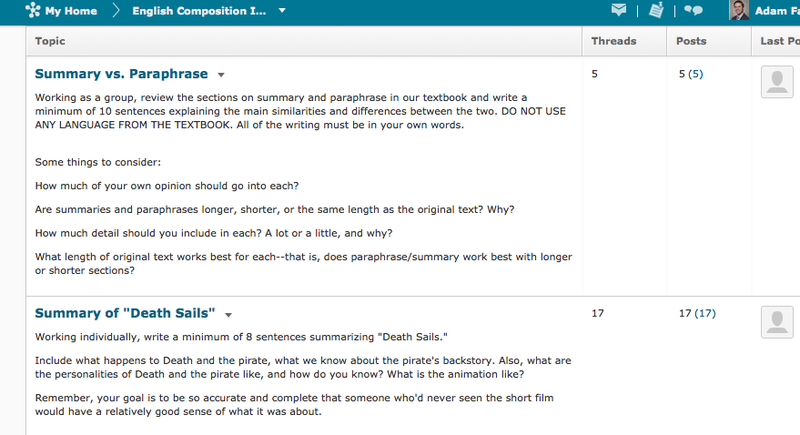 Last week there was a day on my composition syllabus dedicated to teaching summary and paraphrase. These are two skills that are fundamental to a lot of the learning that we’ll do this semester, so it’s important to get them right. But let’s face it–as important as it is to be able to summarize and paraphrase well, talking about these skills can be pretty boring. In the past, my lesson plan for teaching summary would go something like this: spend some time going over the textbook then work on an activity that asked student to apply their new knowledge. Sounds fine, right? Only, it wasn’t. Inevitably, we’d get bogged down at the textbook phase. The problem was mismatched incentives: I felt responsible for conveying content, so even though I said we’d move through the book quickly, I’d get caught up in the particulars. This self-imposed sense of due diligence clashed with my students’ incentives. There was no real challenge in what I’d asked them to do, and it certainly wasn’t fun, so why would they put in extra effort just to be rewarded with more work? This time around, I wanted to try something different, but how to make sure that my students both understood the content and had time for real, hands-on practice? My classrooms this semester all have laptop carts in them, so I designed an experiment. Before class, I created a new forum called the “1101 Writer’s Toolbox” in the Discussions page of our Brightspace site. Inside the forum, I made a couple of new topics. The first, simply titled “Summary Vs. Paraphrase,” prompted students to write an 10 sentence explaiaton of the difference between the two skills. I didn’t bother asking for a definition of each since they’d end up doing that while explaining the differences. The prompt also asked students to consider things like how much of their opinion should go into each, how long each should be relative to the original text, and so on. Working in small groups, my class had 15 minutes to write their explanation and post it to Brightspace. To raise the stakes somewhat, I said we’d be reading each response aloud and voting on the best one. Then I took a step back and let them get to work. At first the class was quiet. They puzzled over the textbook for a minute and asked each other and me a few clarifying questions. But in less than five minutes a pleasant buzz filled the room as they started talking about the concepts and debating which wording to use. I moved around the room, monitoring their progress and reading over their shoulders, but for the most part I just kept out of their way. When the time came to read their responses, I was surprised and pleased by how good they were. In fact, there was only one concept that none of the groups had mentioned, which was the idea that summaries also need to show the logical connections between the main points. Taking a moment to mention this point to them helped me transition into our final short activity. 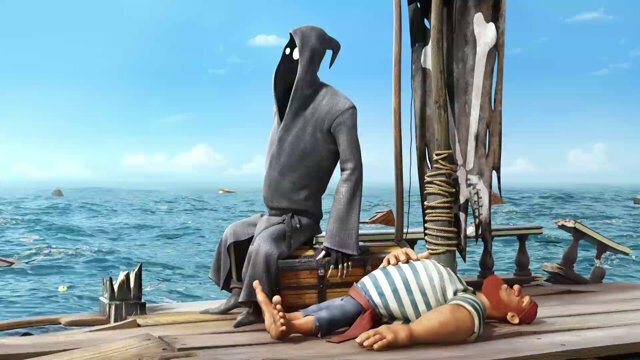 For the last 20 minutes of class, I showed my students a short animated film called “Death Sails” and asked them to write individual summaries of it that would also be posed to the Brightspace discussion thread. Before they began writing, I nudged them to include not just a “laundry list” of events, but also why events turn out as they do–that is, to point out the logical connections between events. This final activity also went well, and I was pleased to see them connect the dots with causal phrases. An added benefit of this activity is that it substantially increased the number of iterations of the main ideas. Iteration increases retention, and the structure of this lesson plan more than doubled the iterations while also increasing student engagement. It was also a lot more interesting for me–a win-win-win!